From the Ladies’ Diamonds Collection. 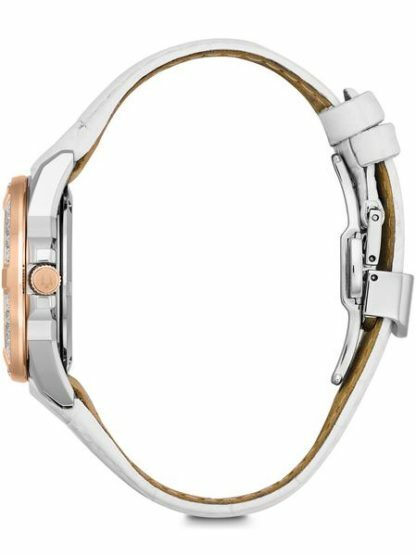 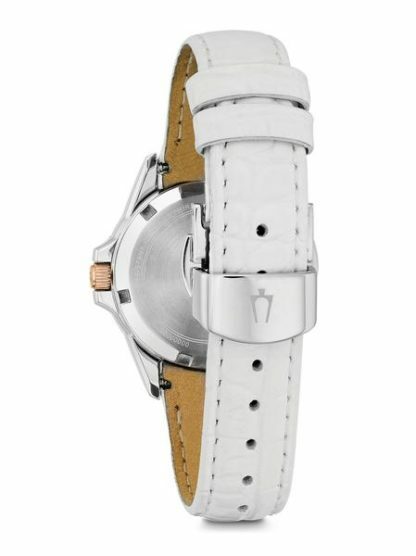 New Marine Star in stainless steel case with 23 diamonds individually hand set on rose gold-tone accented bezel and dial, white mother-of-pearl inner dial, sapphire glass, screw-back case, white embossed crocodile-grain leather strap with double-press deployant closure, and water resistance to 100 meters. 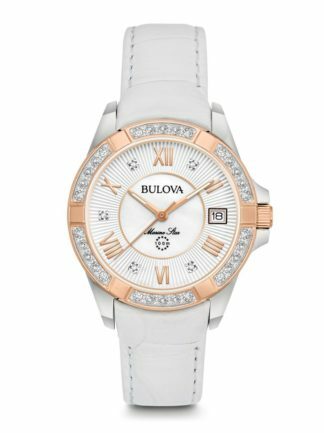 The Bulova 98R233 is from the Ladies’ Diamonds Collection. New Marine Star in stainless steel case with 23 diamonds individually hand set on rose gold-tone accented bezel and dial, white mother-of-pearl inner dial, sapphire glass, screw-back case, white embossed crocodile-grain leather strap with double-press deployant closure, and water resistance to 100 meters.